There’s been quite the chatter the last two years about NFL television ratings. The numbers have ebbed and flowed, the analysis has given and taken, but the consensus seems to be the football fan is still very enchanted. Fact is, it the Super Bowl really didn’t do that great. Apparently, the snooze fest that was Super Bowl LIII had the Sominex effect on its audience, a large part of which turned it off – if it even bothered to tune it in. That made us wonder: Would anyone care about the debut last week of the Alliance of American Football. Or would it be the latest iteration of ersatz pro football thrust upon the sports fan? Well, a funny thing happened on the way to irrelevance. The nation not only tuned in, but it was turned on. 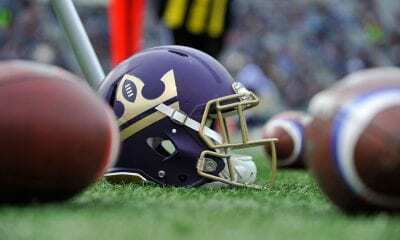 The eight-team AAF, whose goal is to ultimately serve as a top-flight Minor League for the NFL, made its debut on CBS on Saturday and delivered a crushing hit to the NBA’s ego. According to the ratings, the AAF surpassed ABC’s audience for the Oklahoma City Thunder and Houston Rockets, a match-up of MVPs, Russell Westbrook and James Harden. And that was a great game. The Thunder rallied from a 26-point deficit to win. The numbers weren’t overwhelming – it wasn’t Clemson playing Furman – but they were decisive enough. The AAF did a 2.1 (2.9 million viewers) overnight rating and the NBA did a 2.0 (2.5 million). We’re talking Atlanta Legends vs. Orlando Apollos and San Diego Fleet vs. San Antonio Commanders. Congratulations to those who already know Steve Spurrier coaches Orlando and Mike Martz the Fleet. Those are two pretty good football coaches. 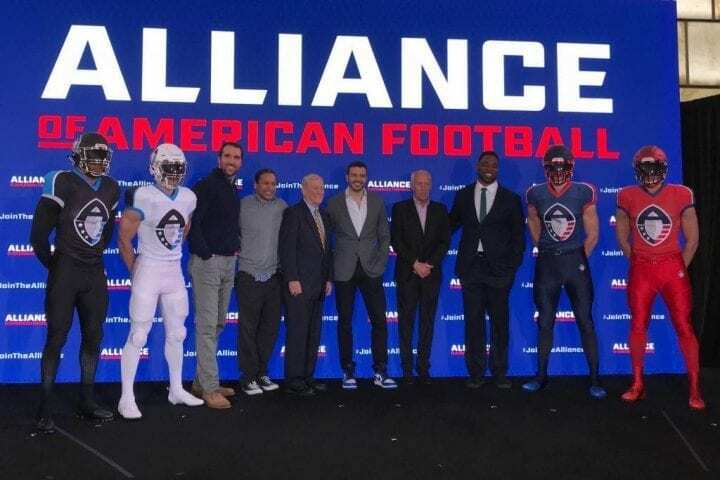 More numbers talk: The AAF’s 2.1 was the highest for a non-NFL pro football game since a 2004 Arena Football League game on NBC, which drew a 2.5. The AAF almost did as well as the Duke-Virginia men’s basketball game on ESPN (2.3) earlier in the day on Saturday. We will see if the numbers reflect basic curiosity or true interest when the AAF schedule resumes this weekend. One thing going in the league’s favor are its broadcast partners. TNT, The NFL Network and CBS Sports Network are all televising games, so they won’t be hard to find. Another impressive snippet about the AAF’s premier was it was generally well received on social media. There weren’t as many haters on Twitter as you might have expected, likely because the games looked professional. The product delivered what would be expected from a start-up coming off a brief training camp, with players well below NFL level. Each player is signed to identical three-year, $250,000 deals with the league, which are not guaranteed. There will be four games every weekend through April 27, which just happens to be the final day of the NFL Draft. Obviously, players are allowed and encouraged to seek NFL tryouts and can return to the league if they do not make it. There are some quirky rule adaptations. There are no kickoffs. Teams start possessions at its 25-yard line. Onside kicks have been replaced by one play, a fourth-and-12 play from their 28-yard line. You make it, you keep the ball. There are nine officials, including the Sky Judge, who sits in the press box and will use technology to correct clear errors regarding player safety and pass interference calls in the final five minutes of a game. HELLO NFL! GREAT IDEA HERE! Also, the extra point has been canned in favor of two-point conversions and field goals can only be used in regulation. In overtime, each team gets one shot beginning first and goal from the 10-yard line. If the teams scores a touchdown, it must go for two. Ties are allowed. The Birmingham Iron defeated the Memphis Express, 26-0, before 17,039 fans in Alabama. Trent Richardson, the former Crimson Tide and NFL halfback, scored the first touchdown in Iron history and then added a second. Another former NFL player, kicker Nick Novak, converted all four field goal attempts. The reason Richardson’s accomplishment is particularly noteworthy is it plays directly to a fundamental philosophy of the league. It wants its rosters to have a significant regional flavor. In other words, you can expect many Alabama and Auburn players to perform for the Iron and Memphis and Tennessee greats to suit up for the Express. 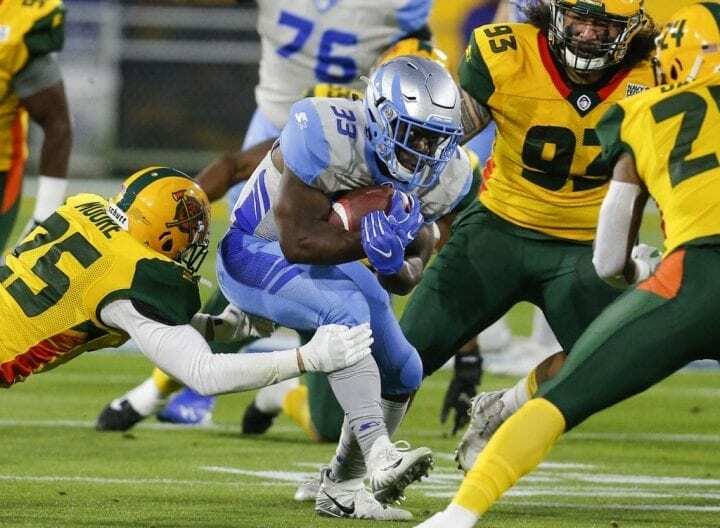 In Arizona, the Hotshots, led by former UCLA head coach Rick Neuheisel, defeated the Salt Lake Stallions 38-22. Receiver Rashad Ross, who played at Arizona State, made five catches for 103 yards. Another former NFL kicker, Nick Folk, kicked two field goals, one from 53 yards. Arizona quarterback John Wolford, was invited to a minicamp last May by the New York Jets, but was not signed. 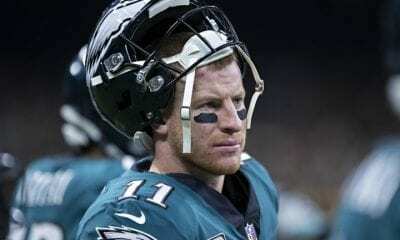 But the Jets brought him back late in training camp and he played in 46 snaps in the team’s final preseason game, more than any Jets’ offensive player. The Jets waived him a day later and then axed their former second-round pick, QB Christian Hackenberg, the next day, Hackenberg now plays for Memphis. Wolford completed 18-of-29 for 275 yards with four touchdowns and no interceptions. Birmingham QB Luis Perez was in camp with the Los Angeles Rams this season. He spent over two weeks on their practice squad. He was 19-of-33 with 252 yards with no interceptions. Atlanta kicker Younghoe Koo formerly kicked for the San Diego Chargers. Koo scored all the points in their 40-6 loss to Orlando, which was played before almost 21,000. In the other game, San Antonio stalled the Fleet, 15-6. The Commanders are coached by Mike Riley, the former coach of the Chargers.